The Center for Neurodegenerative Diseases and Therapeutics takes a highly collaborative team approach to understand how a disease develops and key points of therapeutic intervention. Center scientists represent expertise in deep molecular analysis, detailed in vivo networks and behavioral analysis, cellular optical imaging and work with human neurons that can model neurodegenerative diseases in a dish. 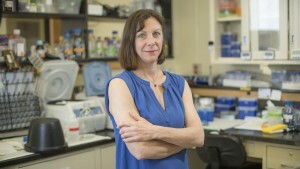 "Everyone in the center is doing something novel in their respective fields, and the technical strengths of each lab are highly complementary," Dr. Grace "Beth" Stutzmann said. "Combined, it's a very powerful group." We're trying to generate a more comprehensive understanding of what is driving all the main features of the disease, not just a single component. Dr. Stutzmann is taking two "giant" steps back from the overwhelming focus of much Alzheimer's research — the formation in the brain of abnormal clumps of amyloid plaques — before moving forward by focusing on the cellular sites of memory formation directly. "Within the AD field, there's a growing realization for a need to revisit early pathogenic mechanisms, particularly in light of the lack of correlation between amyloid plaque levels in the brain and cognitive status," Dr. Stutzmann said. "Furthermore, numerous clinical trials targeting these pathways have failed to improve memory functions, and have not generated the desired therapeutic outcomes despite billions of dollars invested. So there's a bit of a rift in the field — those who feel we should continue to target amyloid or protein aggregates primarily and those, like me, who think we need to redirect efforts and start investigating alternative mechanisms. I feel that signaling deficits at the synaptic level, where learning and memory processes initiate, drive the memory deficits we see in Alzheimer's disease." Dr. Stutzmann has long been interested in early mechanisms of Alzheimer's at the cellular and synaptic levels, striving to identify very early changes that take place in the brain that lead to disease. Her lab has expanded in new directions in an attempt to identify the systems that go wrong to produce the overall observable characteristics of the disease. "We're trying to generate a more comprehensive understanding of what is driving all the main features of the disease, not just a single component," she said. "A common denominator seems to be the upstream calcium dyshomeostasis that impinges on many of these features, including protein aggregations, neuronal stress and synaptic defects. With our collaborators, we are currently developing novel drugs that would restore normal functioning of the calcium channels." The center is also moving into traumatic brain injury and the study of how previous head injury can accelerate dementia or increase the likelihood of getting Alzheimer's-like dementia. 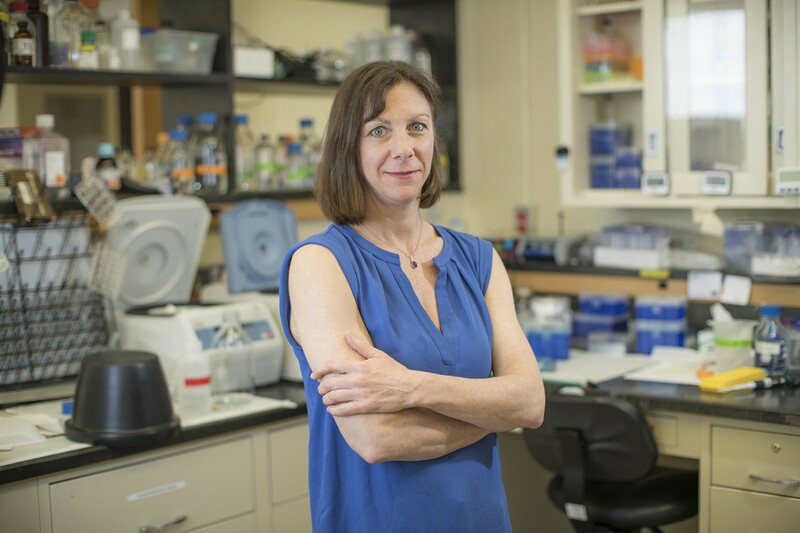 Dr. Stutzmann's lab recently received a Department of Defense grant to study this pathway, an extension of a successful, interdisciplinary pilot project between RFU and DePaul University. "It's that kind of collaborative and productive working relationship among and between the centers, as well as industry and biotech partners, that we want to foster in the Innovation and Research Park," Dr. Stutzmann said.